Wanted to drop a quick note… there’s a Lithuanian subrights deal in the works, which now means my books will be translated into twenty languages. 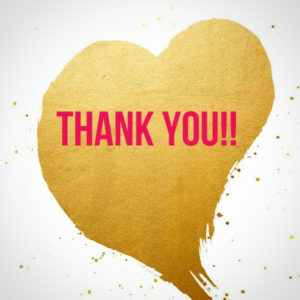 Thank you, international readers! 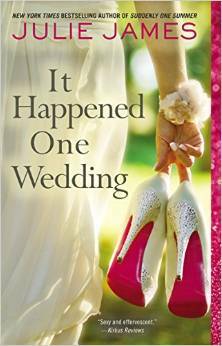 While I’m brainstorming and researching ideas for Book 9, I thought I’d share some fun publishing news: IT HAPPENED ONE WEDDING is going to be re-released this summer in trade paperback! Now, I realize that many of you already own a copy of It Happened One Wedding, so this news is probably mostly exciting for me. My publisher and I think that re-releasing the book in trade paperback is a great opportunity to reach new readers, and that’s always a good thing. The trade paperback will hit stores on August 4th. The front cover is the same, but the stepback cover (the cover insert inside the book) and the back cover blurb are slightly different than the mass-market and ebook version. Any of you looking for a pretty trade paperback version of the book can pre-order a copy at Amazon. I’ll post links to other retailers as soon as they become available. And here’s another nice thing: I just saw that It Happened One Wedding was shortlisted for the American Library Association’s 2015 Reading List for Best Romance! 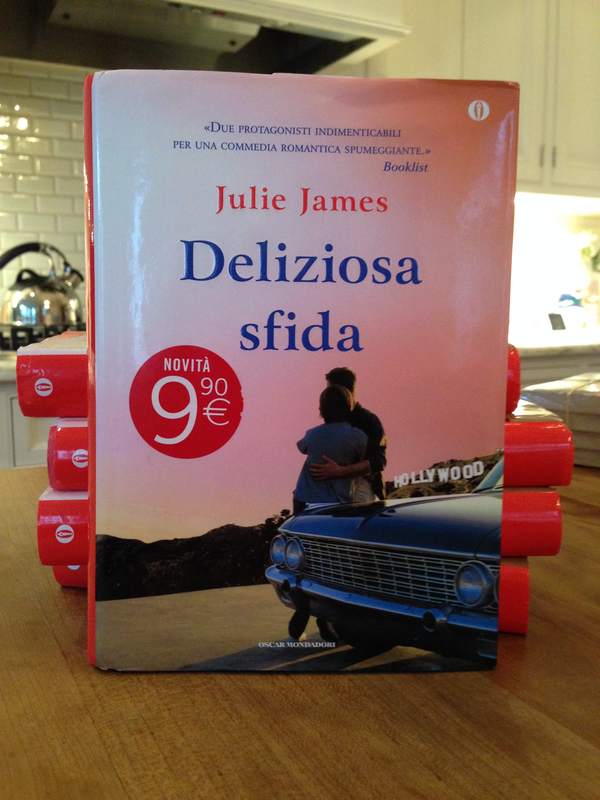 Also, all eight of my books (including the upcoming SUDDENLY ONE SUMMER) are going to be translated into Croatian! That now makes my books available in seventeen countries world-wide, which is a very cool thing, indeed. Wow, just had to share this– check out the gorgeous cover for the Indonesian translation of Love Irresistibly! I covet that woman’s hair. I *believe* the Indonesia translation will be available January 29th. More information about the book can be found at my Indonesia publisher’s website. Wonderful news! 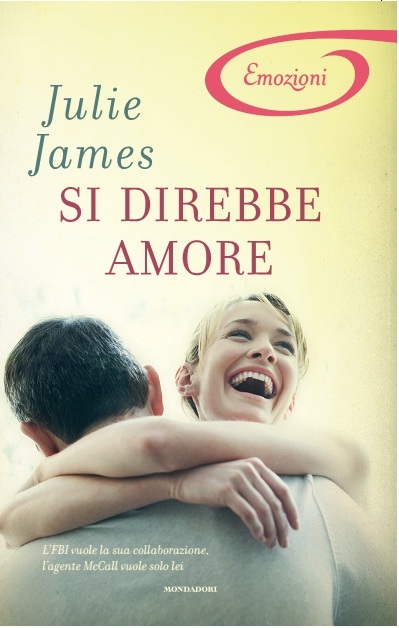 Because of the success of Just the Sexiest Man Alive in Italy, my Italian publisher has decided to re-release the book in hardcover. And the special edition features new cover art, which I love. Speaking of international editions . . . here’s the Dutch translation of ABOUT THAT NIGHT. I’m kind of digging the wet Kyle Rhodes. And the Italian edition of A LOT LIKE LOVE, which I think is absolutely adorable. What do you guys think? Which one is your favorite? P.S. 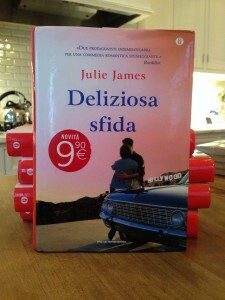 Anyone looking for more info about the international editions of my books can find that here.